For anyone interested, the Back Issue cover was originally done for a book of prose short stories written by Jack Oleck with illustrations by Wrightson which was published in April 1973. Warner published a second book in this series, also illustrated by Wrightson. Oleck was writing for DC’s horror anthologies at the time, and he had also written for EC back in the day. After EC ended their comics line, Oleck primarily wrote pulp-style historical and horror novels until he joined DC in 1968. @nweathington Do you know if Wrightson coloured that cover himself? Yes, he painted the cover. I'm not sure if the piece had faded by the time it was scanned, or if Warner beefed up the saturation for the image when they printed the book covers, or a little bit of both—probably both—but it is the same piece. Thank you, @nweathington As they say on the show we're glad you use your powers for good. 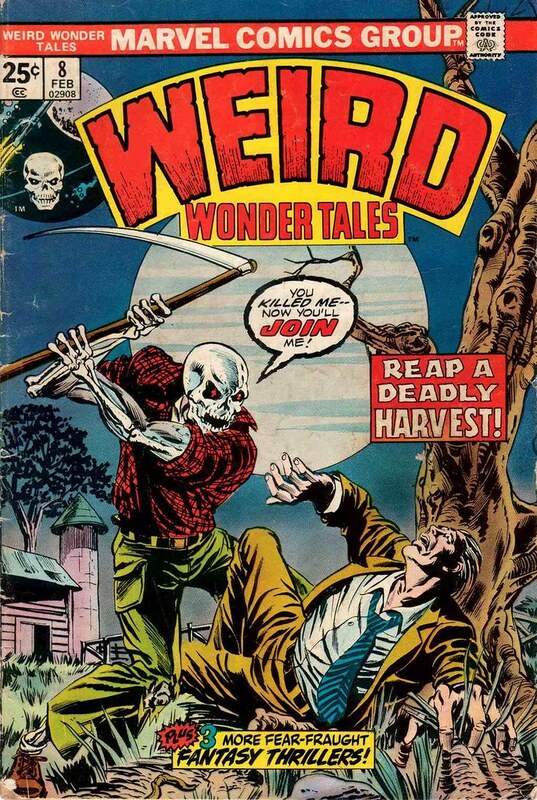 Weird Wonder Tales is one of several reprint-based title launched by Marvel in the 1970s. The four anthology stories in the above comic are all from various horror comics published between 1952-1955. 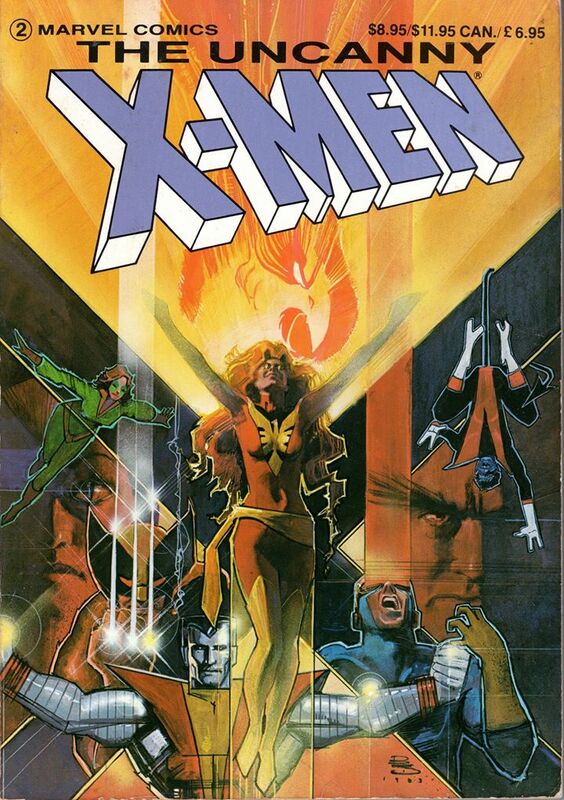 Reprint titles like this proved to be popular and very, very cheap, as Marvel did not pay artists and writers for reprinted material until sometime beginning in the 1980s. The goal of the publication was initially to revisit the best science fiction stories Marvel had published during the 1940s and 1950s. 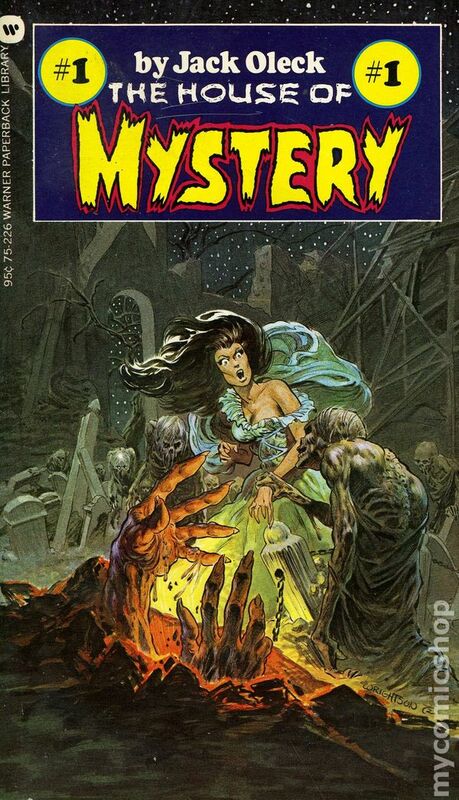 After issue 6, however, the title turned more towards horror. Beginning with issue 19, Weird Wonder Tales also began to reprint the first tales of Doctor Droom from Amazing Adventures, this time re-introducing him as "Doctor Druid". Most of the issues of Weird Wonder Tales lack any kind of reprint credits, and credits for the completely re-done cover art are also generally absent. 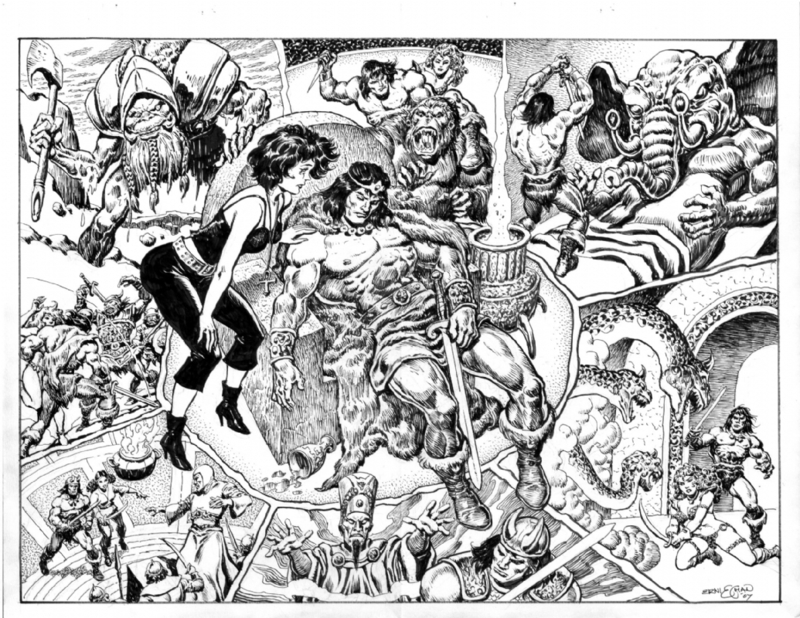 Pencils & Inks: John Romita, Sr. Note: Bill drew Amy, the title character, and Irv drew everything else. 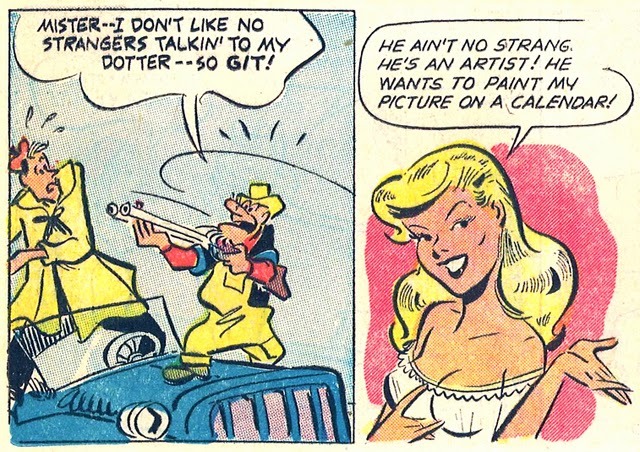 The Farmers Daughter was published in 1954 for four issues by Stanhall Publications which was owned by brothers Michael and Stanley Estrow and staffed by chief writer Hal Seeger, Stanhall got its name from combining Stan and Hal’s names together (Seeger was an animator who would go on to produce such cartoons as Milton the Monster and Batfink in the ’60s). Humor was Stanhall’s biggest-selling genre, with G.I. Jane (about the humorous adventures of a buxom blonde in the army) its longest-running title; others included the teen humor title Oh, Brother!, the funny-animal title Muggy Doo, Boy Cat, Broadway Hollywood Blackouts, and this title, The Farmer’s Daughter, which was a curiously risqué title about a succession of libertine traveling salesmen trying to score with the beautiful daughter of a grouchy old farmer. Simpler times. In late 1954, Stanhall transferred its titles to other companies owned by the Estrow brothers and quietly went out of business. The books are now in public domain reprint from UP History and Hobby. Just discovered this, and I really liked this vibrant and unique angular art style. 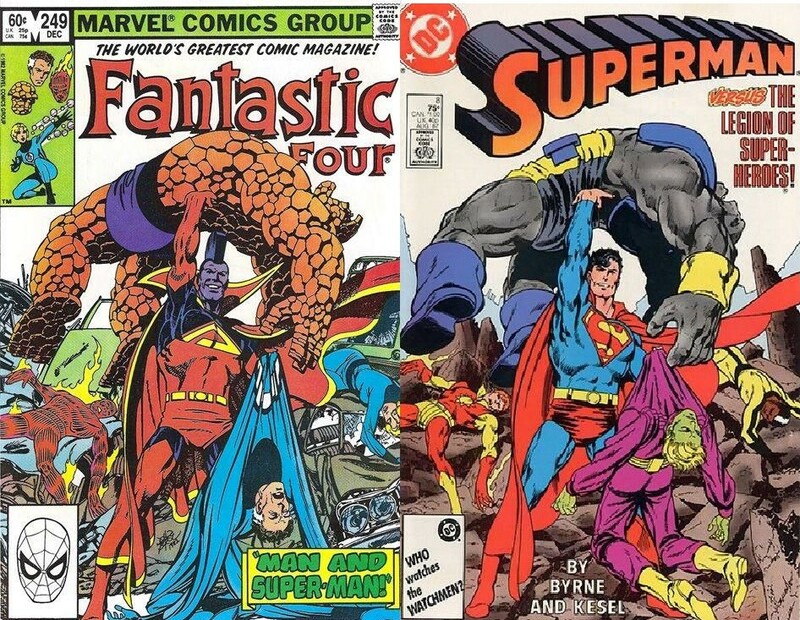 Did John Byrne somehow rip-off himself? Wally West has to race against the clock in order to find a multi megaton bomb, hidden somewhere in Keystone City. He only has 10 minutes to scour the entire city, meaning that even the fastest man alive has to call upon some help. The clock motif and the city grid on the cover capture this intensity, but what takes it to the next level is if you make notice of the street names. As well as the name of the issue’s creative team, including “Davis Ave” and “Farmer Blvd,” the map is littered with references to creators who have previously worked on “The Flash,” such as “Infantino Blvd” and “Guice St.” A cool Easter egg. I've always thought Alan Davis draws great expressions on women. Just John's sense of humor on display. 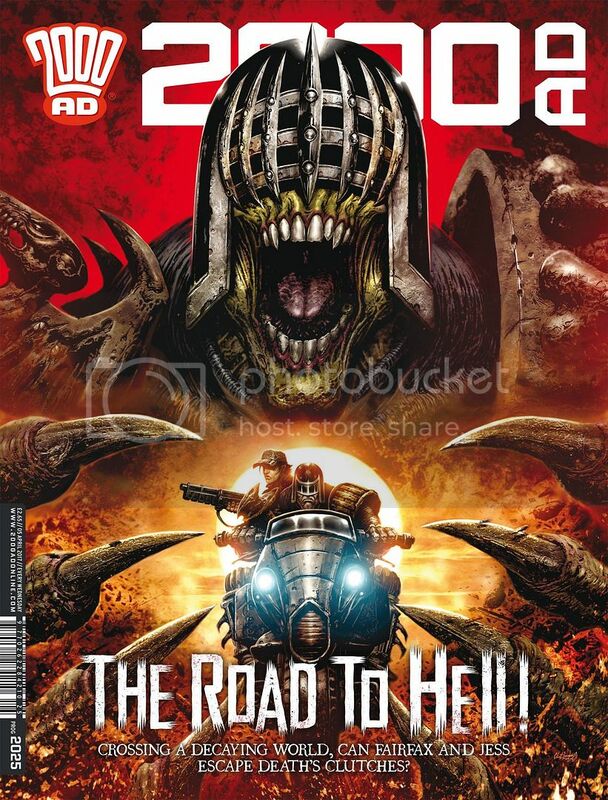 This is Alan's favorite of his run as Flash cover artist. 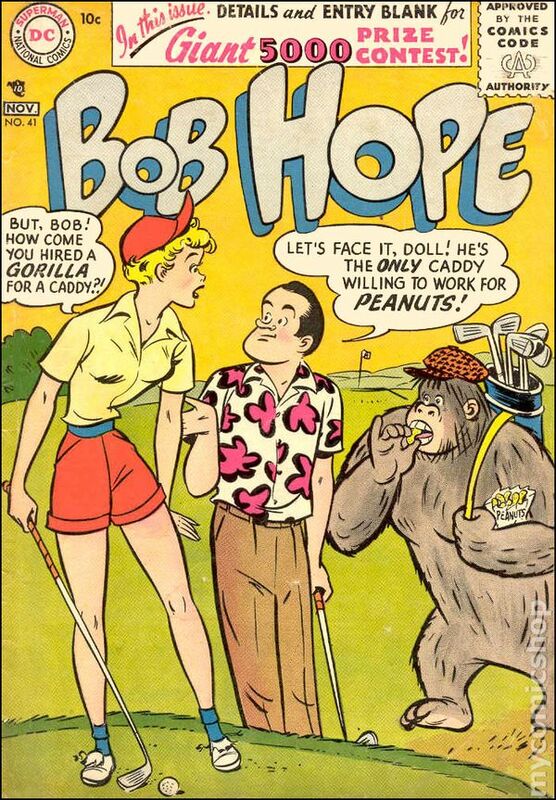 One of the comics I picked up this past weekend at WonderCon, The Adventures of Bob Hope #41 (Nov. 1950), cover art by Owen Fitzgerald. I finally finished reading Shang-Chi, Master of Kung Fu Omnibus, Volume 2. I previously owned/read some of the issues in this collection and was looking forward to revisiting or reading for the first time. As with Volume 1, the material produced by the team of Moench/Gulacy ranged from very good to stellar. It was worth getting this second volume just to complete the run of stories they did together. The remaining material was a mixed bag for me, though things picked up near the end as Mike Zeck entered and his art started to develop. Loved the Moench/Gulacy run. I just got the 3rd volume of these limited time omnibus runs, which contains the issues that first got me into Shang-Chi. I'm very excited. Ordering the 4th omni this month. Morgan Edge is beset by Goody Rickels, a Don Rickles lookalike, who wants to break out of his research job and is assigned to investigate a UFO landing nearby. But Clark Kent is abducted by it, and the Guardian, the Newsboy Legion, and Goody are captured by Ugly Mannheim and Inter-Gang, who force them to eat a meal laced with Pyro-Granulate. Mannheim them lets them all go, informing them that the chemical will cause them all to burn up in 24 hours. Jan. 1954: I'm doing a two-fer this month. First up, the relaunch of Captain America—cover pencils by Carl Burgos and probably someone else—picking up the numbering right where the series left off nearly four years prior. Atlas had relaunched Young Men back in early 1953, and after three issues of generic detectives, boxers, hot rod drivers, and such, had quietly brought back its top three superheroes: the Human Torch (cover-featured), Captain America, and the Sub-Mariner—one story each in every issue thereafter. Evidently sales were encouraging enough, or perhaps Atlas was simply desperate enough, that Cap and Torch received their own books (Human Torch was relaunched this month as well, again picking up the numbering where the series had left off in 1949). But, alas, the time was not right. Captain America and Human Torch each went three issues before scuttling back to the dust bin, where Young Men was already waiting for them. 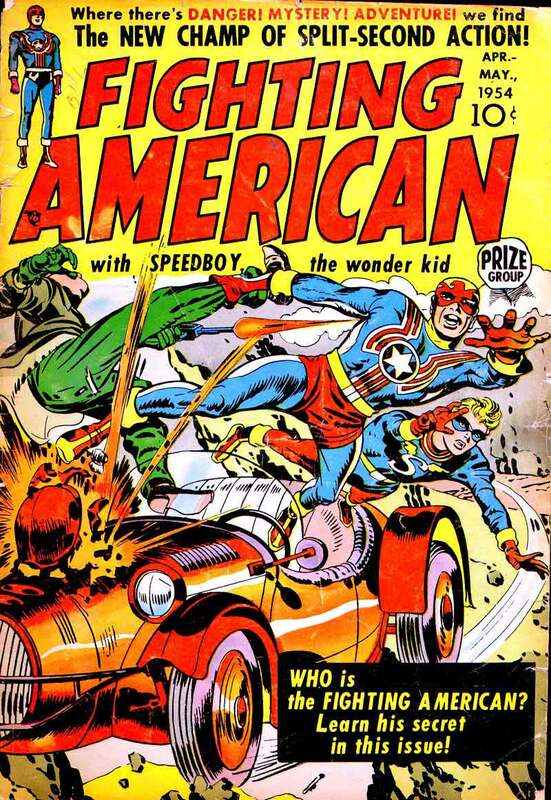 Next we have the creators of Captain America, Jack Kirby (on pencils, colors, and co-scripting) and Joe Simon (on inks and co-scripting), with the debut of their parody of said creation, Fighting American #1. Talk about perfect timing. Fighting American had all the action of his predecessor, but with a satirical edge. And while it only lasted seven issues, it did outlast the good captain. It’s fun stuff, and worth searching out if you haven't read it. "The Man who Slept the World Away!" 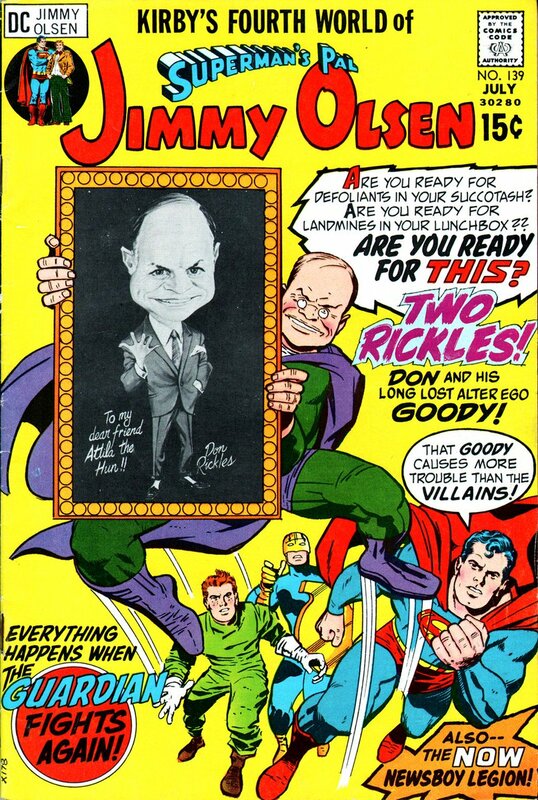 was written by Cary Bates, penciled by Curt Swan and inked by Tex Blaisdell. In this cover story, Superman is left as the only inhabitant of Earth except for Brainstorm, a villain who has dreamed all others away. Brainstorm was an under-utilized Justice League villain, who had not appeared in ten years when Bates, Swan and Blaisdel resurrected him for Sthis issue. It’s actually one of Brainstorm’s better stories, which says a lot. It’s also his one and only appearance in the 70s, although he returned in the early 80s in Superman Family. Wow, one of the rare Chan covers that I like. My first two Batman comics both had Chan covers, and I picked them up as much for the covers as for Batman. 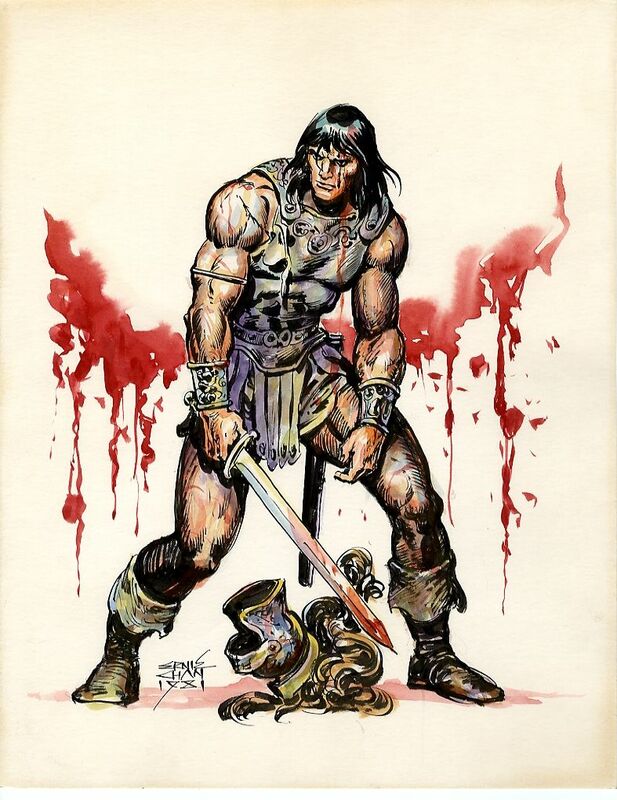 You can see why Mr. Chan went on to have a rather 'illustrious' career with Savage Sword of Conan by this cover. He's great. Weeelllll... I wouldn't go so far as to say he was great. I mean, looking at this cover now, hardly any of the weapons are being held correctly. The hands had to be squeezed in to show there was a person holding each weapon, but in most cases one hand per weapon would have sufficed. And the woman’s right thigh is slightly longer than her left. But it is a very nice composition, with a tilted camera—as with the Superman cover—to enhance the drama, and a dramatic swooshing of Batman’s cape to imply a sense of movement. And the spotlight effect adds to the feeling that Batman is trapped. It definitely caught my attention as a five-year-old. Chan was very good, and a solid storyteller. But he didn’t have the craftmanship of Nestor Redondo, or the creativity and flair of Alex Niño, or the brush skills of Rudy Nebres—just to compare him to the other Filipino artists who started working in US comics at that time. 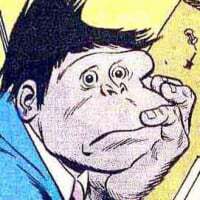 He was a big part of my childhood comic reading though. & thanks to Grammarly, I actually spelled his name right. Academics aside, he was a big part of my childhood as I was a voracious reader of SSOC, so he will also hold a place of honor in my heart. He may have sometimes over-drawn, but he ranked up there with Rudy Nebres and even John Buscema for my money in the late 80's-early 90's, and when he inked Howard Chaykin? Hands down some great artwork. I had that trade paperback, and my ***hole roommate took it when he moved out... I still have the Iron Man Demon in a Bottle "sister" book, also with a cover by Bill S. (not even gonna try). It's been known for years that if you want to increase sales, put a gorilla on the cover. This piece of advice was followed by every editor at DC comics in the 60s, including Murray Boltinoff, the editor of DC's Revolutionary War title, Tomahawk. 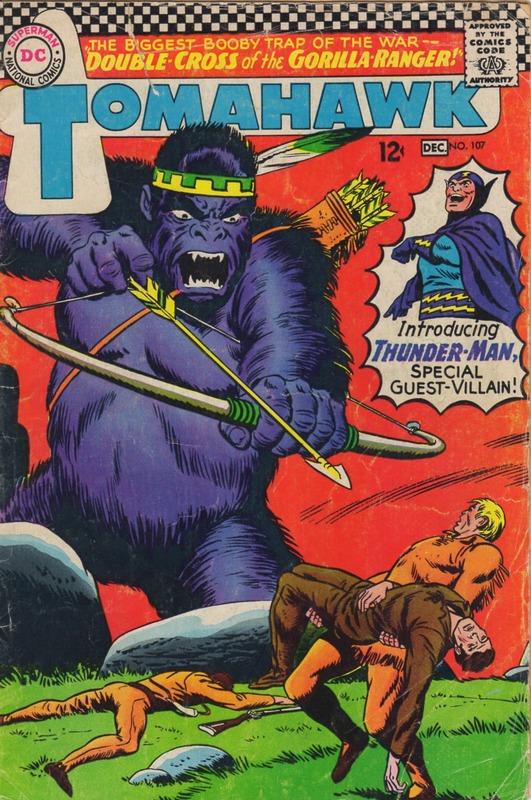 In this issue, Tomahawk's team of frontier patriots not only tangle with a feather-wearing, bow & quiver-carrying giant ape raised by Native Americans, but also with a costumed super villain.